The return of copper plate photography? 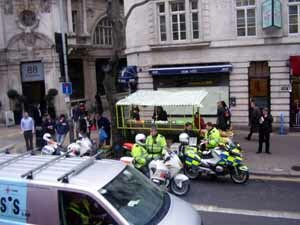 However, the actual Metropolitan Police Service Photography advice web page is not a comprehensive guide to the relevant legislation and legal powers, for an amateur or professional photographer and for the Police Constables and Police Community Support Officers (PCSO) who are meant to enforce them fairly and proportionately. It sheds no light on where exactly the controversial Terrorism Act 2000 section 44 powers are actually in force, According to the Statute, they are supposed to be temporary,and strictly limited to a specific location and for a limited duration, not general purpose police powers available all everywhere, at all times. The Met Police Advice on Photography web page also omits mention of the Official Secrets Act 1911 Prohibited Places, which no longer applies to some buildings which it used to, before Gordon Brown;'s failed Public / Private Finance Initiatives tax dofge schemes.Former Government owned office buildings, including the Ministry of Defence and the HM Treasury buildings in Whitehall, and the Home Office now in Marsham Street, and the Ministry of Justice (in the redeveloped former Home Office buildings in St Anne's Gate /Petty France) are now owned by property companies based in foreign tax havens, which lease the poperties back to the Government. As such these buildings are no longer automatically "Prohibited Places" under the OSA 1911 , like they used to be, by virtue of ownership by the Crown, and they have not been specifically designated by a Secretary of State as being so. However, there are Prohibited Places, where it is a non-arrestible criminal offence (prosecution of which still requires the permission of the Attorney General) to make make "models, plans, sketches" etc, including photographs, in the vicinity of, typically military bases which are stillowned by the Crown. Later legislation also designates any Licensed Nuclear Site i.e. nuclear power stations, research laboratories and re-processing plants etc, and any "aerodrome" owned by the Civil Aviation Authority i.e. Heathrow Airport etc. 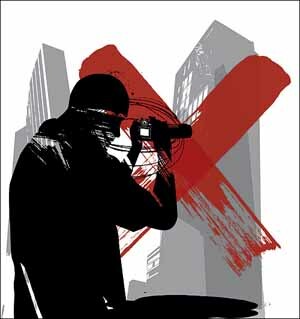 None of these Prohibited Places actually ban photography by the public for innocent, non-espionage purposes, but the burden of proof seems to shift to the photographer having to prove his innocence. What is also needed is a similar statement from the notorious British Transport Police, who, disproportionately, conduct even more unnecessary and counterproductive Terrorism Act 2000 section 44 stop and searches than the Met Police do. 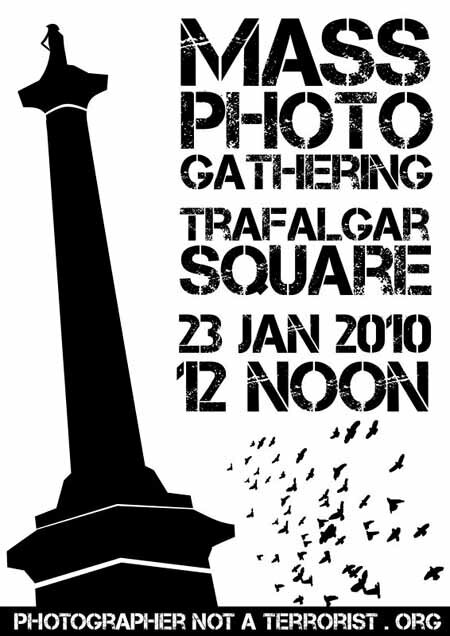 In London, there are by-laws against commercial photography and filing, without prior permission (and payment of fees) in areas such as Trafalgar Square or Parliament Square, and on the whole of the London Underground railway Tube network. Remember that Private Security Guards or even Police Community Support Officers acting on their own without a real , sworn, Police Constable in Uniform physically present, cannot exercise any of these powers, no matter how many yellow or orange high visibility vests or "official" Security Industry Authority photo id badges they sport. According to a Written Answer by the Home Office Minister Admiral Lord West of Spithead, the controversial "If you suspect it, report " terrorism propaganda campaign, involving posters and some local newspaper and local radio advertising, launched in March 2009, has cost at least £1.7 million, and the "anti-terrorist hotline" costs about £120,000 a year to run. "A bomb won't go off here because weeks before a shopper reported someone studying the CCTV cameras"
The confidential anti-terrorist hotline is administered by the Metropolitan Police Service. The hotline receives, on average, 243 calls per month. In March 2009, the Association of Chief Police Officers (ACPO) launched a national media campaign to raise counterterrorism awareness. The anti-terrorist hotline received more than 1,800 calls in March 2009 and more than 1,100 in April 2009. The anti-terrorist hotline is a 24-hour facility for members of the public to volunteer information to specially-trained police officers, in confidence, regarding any activity which they suspect to be terrorism-related. The police service considers the anti-terrorist hotline to be a valuable means for the public to volunteer information in confidence. It is assessed that more than 80 per cent of calls received by the hotline contain information relevant to terrorist activity. It is estimated that the anti-terrorist hotline costs approximately £120,000 to run each year. "on average, 243 calls per month" equates to about 2900 calls a year or about £40 per call. The "more than 1,800 calls in March 2009 and more than 1,100 in April 2009" following the ACPO poster, local press and local radio advertising campaign, has, presumably, now tailed off to below the "on average, 243 calls per month" figure, which must include the effect of the advertising campaign stimulated peaks. If you bother to hunt around on the Metropolitan Police Service website, there is a "If you suspect it, report it" web page which gives further details about the "Anti-Terrorist Hotline", but none of the Climate of Fear propaganda posters or adverts bother to give details of how to find this web page. This creepy and disproportionate web page tries to throw suspicion of involvement in terrorism on anyone who uses a "Van, Passport, Mobile Phone, Camera, Chemicals, Masks and Goggles, Credit Card, Computer, Suitcase or Padlock" i.e. the vast majority of millions of innocent people ! There is now, after many years without one, a confidential online form, which does make use of the standard SSL / TLS session strong encryption, built in to your web browser software to protect the confidentiality of your e-commerce credit card etc.online transactions. N.B. Reminder to the MPS: your Digital Certificate expires later this month on the 24th July 2009, do remember to get a new one ordered and installed before then. However, "text messages from mobiles are not accepted", which is an utterly stupid policy. What are they worried about ? SMS text messages are no more difficult to trace than mobile phone calls. There is also no no Web Form or Mobile Phone Multi Media Message Service facility for uploading digital images or video clips taken by members of the public on their digital cameras or mobile phone cameras of "suspicious" people, locations or objects. It is inconceivable that in the aftermath of the next major terrorist attack in the UK, there will not be an appeal to the public to send in such digital images and video clips of "anything suspicious". Why waste crucial time in the minutes and hours immediately after such an attack, by hurriedly setting up an untested web upload form or an SMS / MMS capable mobile phone number, and then trying to publicise it. ? This facility should already be in place, after having been properly specified and stress tested to cope with the huge surge in demand which will follow a major incident. Adding such a secure web form and SMS/ MMS digital image / video clip upload facility would cost only a few hundred pounds, and even allowing for several thousand pounds for extra secure, resilient infrastructure, testing and training, this will still only cost a fraction of the the £1.7 million pounds wasted on the counter productive, insulting and widely ridiculed advertising campaign. See BoingBoing: Remixes of the paranoid London police "anti-terror"/suspect your neighbours posters. Will the Metropolitan Police and other Police forces curtail their "Surveillance State" abuses of photographs and videos of innocent people, following this legal Judgment in the England and Wales Court of Appeal (Civil Division) ? It is important to note that the result of the Court of Appeal's judgment is that the taking of the photographs did not per se constitute a unlawful interference with Mr Wood's right to privacy. Rather what was unlawful was the excessive retention of the photographs beyond a time when there was any reasonable basis for supposing that Mr Wood may engage in criminal conduct at the arms fair. On the question of whether this judgment sets a precedent on the question of whether the police can generally take photographs of ostensibly law-abiding citizens, it is worth noting Lord Collins' concluding comments: 'it is plain that the last word has yet to be said on the implications for civil liberties on the taking and retention of images in the modern surveillance society. This is not the case for the exploration of the wider, and very serious, human rights issues which arise when the State obtains and retains the images of persons who have committed no offence and are not suspected of having committed any offence' (paragraph 100). Will the "in your face" photographic harassment by FIT police and civilian cameramen of political activists and journalists, especially at public demonstrations, (see examples, and the counter reaction which this provokes, at the FIT watch blog) and the whole infrastructure of CCTV snooping and monitoring come under proper, critical, value for money and privacy oriented scrutiny ? Or will these matters be swept under the carpet again, through bureaucratic inertia, buck passing and fatuous excuses like "the Olympics" or the "security of crowded places" ? Will this Government or the next one, actually repeal the stupid and repressive laws and policies which are used to harass innocent photographers in public places ? The contract of advertising agency Miles Calcraft Briginshaw Duffy with the Metropolitan Police Service expires at the end of March. They are being replaced by Gordon Brown's favourite ad agency Abbott Mead Vickers BBDO, who gave him "Design services" during his Labour party leadership non-election "coronation" campaign. ABV BBDO have also been awarded the lucrative Home Office ID Cards propaganda account. Presumably Miles Calcraft Briginshaw Duffy are at least partly to blame for the current Metropolitan Police Service anti-terrorism advertising campaign launched today. We are reporting this misleading poster to the Advertising Standards Authority, and urge you all to do the same. Considering how bad trained police officers are at spotting terrorists, asking untrained people to attempt to do the same will end up creating more suspicion of anyone behaving a bit differently. This will obviously target those who have different customs and those who are afflicted by some illness, fuelling further discrimination. These campaigns also focus on common objects, recently photographers have been particularly targeted. Looking at our environment, be it buildings or CCTV surrounding us, - hostile reconnaissance as it is called by the police - is a cause for arrest but so far has not been a cause for any conviction. 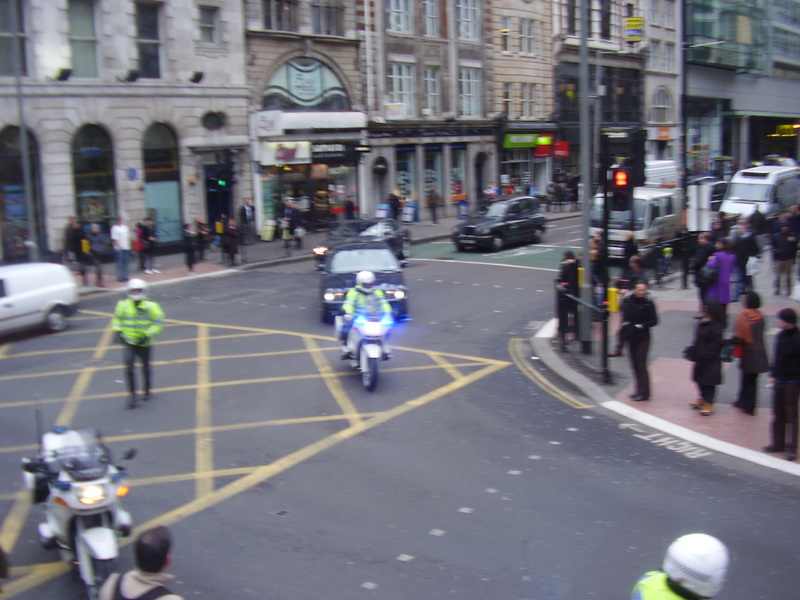 Before publishing such images is banned under the Terrorism Act section 58A which comes into force on Monday, (they might still be banned retrospectively), here are a couple of photos of some Metropolitan Police motorcycle outriders, delaying ordinary traffic, in favour of possibly Gordon Brown or someone else who thinks that they are important, traveling in a two car convoy, turning from Holborn into Kingsway in central London, yesterday. Who are those innocent looking mobile phone wielding onlookers ? Will they all have their Communications Traffic Data snooped on, "just in case" ? Comedian Mark Thomas is to join with NUJ members in an event to highlight the threat of a new UK law that could be used against press photographers taking pictures of the police. The Counter Terrorism Act allows for the arrest and imprisonment of anyone whose pictures are "likely to be useful to a person committing or preparing an act of terrorism". The union is joining with campaigners to organise a mass picture taking session outside London's police HQ on Monday 16 February - the day the act becomes law. Mark - who uses his comedy act to expose state and corporate wrongdoing - will be joined outside New Scotland Yard by renowned documentary-maker Chris Atkins, NUJ vice-president Pete Murray and a bevy of photographers. Photojournalist and NUJ member Marc Vallée said: "The plan is simple, turn up with your camera and exercise your democratic right to take a photograph in a public place." There have already been cases of photographers stopped from working by police quoting anti-terror laws. John Toner, the NUJ's organiser who looks after freelance photographers, said: "Police officers are in news pictures at all sorts of events - football matches, carnivals, state processions - so the union wants to make it clear that taking their pictures is not the act of a criminal. "Our members are photographers - not terrorists." 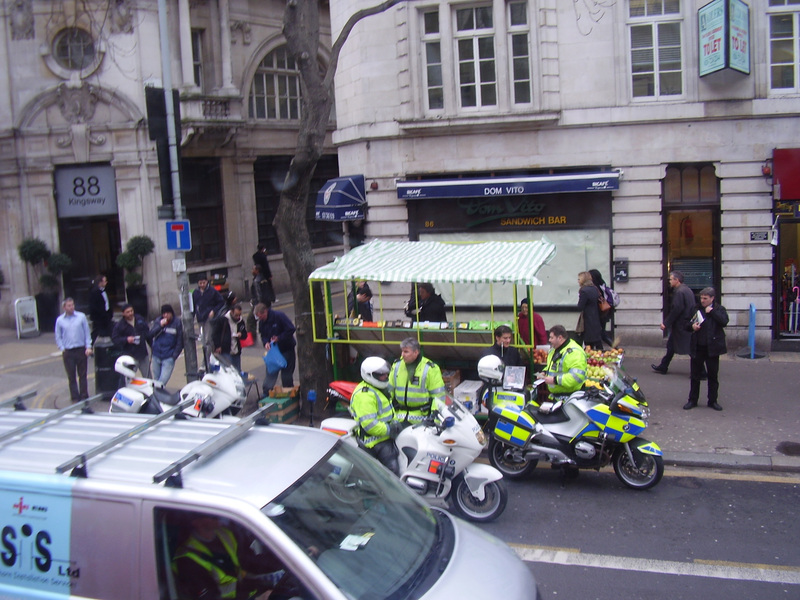 Roy Mincoff, NUJ Legal Officer, said: "Photographers do not want to endanger the health and safety of the police or the public - but it is important in a democracy that they can do their jobs properly without facing unnecessary legal restrictions." 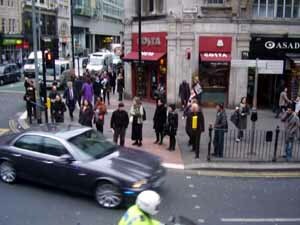 The photo taking will start at 11am outside New Scotland Yard on Broadway, London. 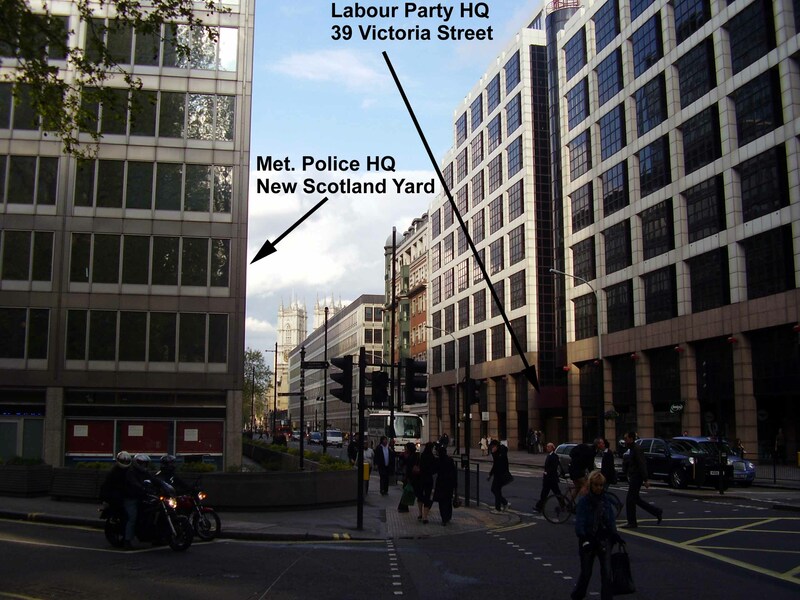 Remember, that, very sneakily, New Scotland Yard is just within the Serious Organised Crime and Police Act 2005 ss 132 -138 Designated Area around Parliament Square (see the ParliamentProtest.org.uk blog for details), and so the Metroplitan Police may attempt to arrest people, or to impose arbitrary Conditions etc. Marc Vallée's blog: Media Event: "I'm a Photographer ... not a Terrorist"
London Calling Photographers are proud to announce the first debate. We are proud to announce the presence of Olivier Laurent, News Editor of the British Journal of Photography, Superintendent David Hartshorn, of Metropolitan Police Public Order Branch and Jeff Moore, Chairman of the British Press Photographers' Association. Digital Photography School will also be giving away a "Press Photography Lowepro camera bag" on the night. Please note that this agenda is provisional and subject to the presence of all our guests. Please keep in mind that not all the guests have confirmed their availability for the evening and the agenda is subject to modifications. If you feel that the agenda need something more, please feel free to propose any modification to carlo[at]londoncallingphotographers.org. Simon Pollock will blog the event for Digital Photography School and the event will be taped for a Podcast/Videocast. Many of the Private Finance Initiative lease back / tax dodge Government Buildings, in and around Whitehall are no longer "Prohibited Places" including HM Treasury, the Home Office , the Ministry of Defence etc. The relevant power of arrest under this Act was one of the few that were repealed by the Serious Organised Crime and Police Act 2005. The Home Office is attempting to keep secret from the public, the approximate actual geographical extentt and validity time period of the supposedly extraordinary , temporary, strictly limited Terrorism Act section 44 stop and search without reasonable cause powers. This secrecy is counterproductive to these powers being as a deterrent to real terrorists. This secrecy also unnecessarily wastes lots Police and public time and resources, by stopping and searching innocent people, who would otherwise have been informed not to be carrying or transporting potentially "suspicious" dual use items (e.g. ammonium nitrate fertiliser) in temporary Section 44 powers areas. See Counter-Terrorism Bill clause 83 reminder - chilling effect on reporting or speculation about military or intelligence service or police personnel ? 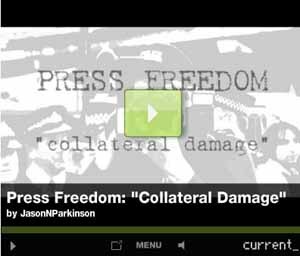 The War on Photographers , and Military Historians and Biographers etc. intensifies, by making it a serious terrorist crime to "attempt to elicit" information e.g. name, address, photograph etc.,about a current or former member of the Police, Armed Forces or Intelligence Services. It does not matter if there is a legal defence available to you in Court, it is too late for your liberty and career, once you have been tainted and blacklisted, by being arrested under a terrorism law, even if you are never charged or are found not guilty. How soon before this law is used to threaten, harass and arrest political demonstrators or activists, who take photos of the Police etc. who are taking photos of them ? Why are former members of these organisations covered, without exception i.e. including all those who have been kicked out for treason, espionage, corruption etc and those Walter Mitty fantasists or con artists, who exaggerate their former military careers, skills or experience, for vanity or to swindle people.? How soon before this law is invoked by those in the Police, Military or Intelligence services who want to hide or cover up incompetence, corruption or worse from investigative journalists or other investigators ? Why are other people who are just as much targets of terrorists e.g. Judges, juries, prison officers etc. not covered by this law ? If they are adequately covered by the pre-existing Terrorism Act section 58, then why is this new Terrorism Act section 58A needed at all ? (j) the entries in Part 2 (disclosure of information and the intelligence services), Part 4 (financial restrictions proceedings), Part 5 (control orders) and Part 6 (pre-charge detention) of Schedule 9 (repeals and revocations). Keep guard of your teacups, they may be stolen from you by official burglars or undercover agents, who want to secretly sample your DNA or fingerprints, if Home Office Minister Admiral Lord West's ideas on how this bit of the Act is going to be used are true. N.B. the main sections 19 to 21 Disclosure of information to the intelligence services were commenced on Christmas Eve, 24th December 2008, so, perhaps "Santa" or his little helpers were really after your DNA and fingerprints rather than mince pies etc..
Coaker joins a long list of Labour Home Office Ministers who have legislatively signed away the freedoms and liberties of the innocent majority, without any proportionate decrease in crime or terrorism. Is there time to makes some Freedom of Information Act Requests to the Police and Military, or to take some Photographs etc, before February 16th 2009 ? 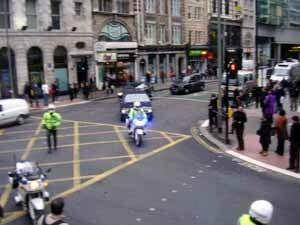 War on Photographers - Police "guidance" to be published in November ? Do you trust Home Secretary Jacqui Smith, not to further encroach on our freedoms or liberties whenever possible ? To ask the Secretary of State for the Home Department what guidance her Department has given to the police on the exercise of their power under section 44 of the Terrorism Act 2000 to stop and search those taking photographs in public places. Guidance on stop and search powers under section 44 Terrorism Act 2000 was issued by the Home Office in Home Office Circular 038/2004 on 1 July 2004 covering the authorisations for the use of the power. Operational guidance on the use of section 44 stop and search powers was issued by the National Policing Improvement Agency and the Association of Chief Police Officers in 2006. Following a commitment given by my right hon. Friend the Prime Minister in October 2007, the operational guidance issued to the police on section 44 is currently being reviewed by the Home Office, the police, community groups and other stakeholders. The National Police Improvement Agency will issue revised guidance to all police forces in November. This will cover the taking of photographs in public places, although the general position is that there is no legal restriction on photography in such places. At a guess, this "guidance" will not appear before the Glenrothes by-election on 6th November, because of the Labour government's usual attempts at political media spin and news propaganda management. What actual use to the public, are Select Committees of the House of Commons, and the Reports which they publish ? We reject crude characterisations of our society as a surveillance society in which all collection and means of collecting information about citizens are networked and centralised in the service of the state. The Government welcomes the committee's rejection of the characterisation that we live in a surveillance society where the state is engaged in a centralised network of collecting and analysing information on the individual. Anyone actually reading though the detail of the Report, will see that it really supports the premise that the UK is already a Surveillance Society. Increasingly, the contents of the Select Committee report are leaked or briefed to the mainstream media, before its official publication. Such favoured media outlets are then either fed a line, or manage to draw the wrong conclusions. Internet users will be protected from abusive bloggers and malicious Facebook postings under proposals to set up an independent internet watchdog, The Daily Telegraph has learnt. Naturally, any suggestion of Yet Another Government Quango to attempt to suppress the free speech of bloggers, has understandably provoked a reaction against this stupid idea. However, when you actually read the Committee on Culture, Media and Sport Report into Harmful content on the Internet and in video games, it only mentions "blogs" once, in passing, concentrating on various worthy Child Protection chat forum monitoring schemes etc. Continue reading Select Committee on Culture, Media and Sport report - no specific mention of controls on blogs, but they want to track and trace mobile phone images. Counter-Terrorism Bill Clause 83 - chilling effect on reporting or speculation about military or intelligence service or police personnel ? Jim McAuley has resigned from his current military job as a cadet force instructor, and made an apology. A fantasist has been caught making a fool of himself in public, and has apologised. All well and good. So why is this story rather troubling to Spy Blog ? These two mainstream media publications have lifted text and pictures without attribution and without linking to the online URLs .of the sources for this story. What does that say about the standards and ethics of professional "investigative" journalists, compared with bloggers ? The Daily Telegraph have also, to their utter discredit, published Jim McAuley's full home address. Exactly what crime did Jim McAuley commit ? None. What harm did he do, to anyone or anything but his own reputation ? None. Where is the overwhelming public interest in publishing his home address ? None. Being an Army Cadet Force instructor may be a minor, low level military job, but that still made him a current "member of Her Majesty's forces". Nobody disputes that he did actually serve as a member of the Army Catering Corp.
to prove that they had a reasonable excuse for their action. (ii) in Northern Ireland, to imprisonment for a term not exceeding 6 months or to a fine not exceeding the statutory maximum, or to both. (4) In this section "the intelligence services" means the Security Service, the Secret Intelligence Service and GCHQ (within the meaning of section 3 of the Intelligence Services Act 1994 (c. 13)). Remember that even if you are not charged or convicted under this section, but simply arrested, you will suffer the humiliation of being fingerprinted and DNA sampled and will be tagged as a "suspected terrorist" for the rest of your life, on "intelligence databases" which will be secretly shared with foreign governments, without the full context of the incident being recorded. Even if you have a "reasonable excuse" defence under subsection (2), that is too late, it only applies once you are facing prosecution in court, it will not prevent you from being arrested in the first place. What is the justification for a 10 year prison sentence, just for information about current or former military personnel, intelligence service personnel or police constables, when the existing Terrorism Section 58 already has a penalty of up to 7 years in prison for "any" information ? Is this proposed legislation a tacit admission by the Home Office, that the conviction of the mentally sub-normal mentally sub-normal Abu Baker Mansha , who was given 6years in prison for possession of the name and a partial (out of date) address of a serving war hero, scribbled on a copy of The Sun newspaper, was, perhaps, not legally sound ? The Daily Telegraph was obviously wrong to publish Jim McAuley's home address in the story above, but should the newspaper staff really be facing 10 years in prison and / or an unlimited fine for doing so ? Should the British Army Rumour Service bloggers and discussion forum members etc. really also be facing facing 10 years in prison and / or an unlimited fine ? Clause 83 makes no legal distinction between a current member of the SAS or other Special Forces, or of members of the Royal Family (several of whom are former or current military officers) and a former member of the Army Catering Corps - why are they are all covered equally ? Will this clause be abused by jobsworths, who will then try to restrict photography in public places of any Police constables or military personnel ? N.B. Police Community Support Officers are not sworn Police Constables. Will this clause have an unintended effect on voluntary organisations and charities, which help to look after former military people e.g. the Royal British Legion etc. ? Will the act of compiling membership lists, or taking group photographs of "old comrades" commemorations now be chilled ? Will there be a chilling effect on the authorship and publication of military history and memoirs ? Will there be a chilling effect on specialist publications like, say, Eye Spy Magazine, or the mainstream media in general ? Could this clause be used, perhaps in the future, to help to suppress any criticism of the military, intelligence agencies or the Police, by bloggers ? There is no need for this Counter-Terrorism Bill 2008 Clause 83, and it should be dropped from the Bill. Ideally the whole of the Terrorism Act 2000 Section 58 should be repealed, we should not be prosecuting people for "Thought Crimes" or for scientific or engineering knowledge, but only for actual possession of weapons, explosives, firearms or money etc. with a clear terrorist intent. At the very least, there should be a Statutory Code of Practice which clearly prevents Section 58t from being used to legally threaten or harass photographers, journalists, bloggers, historians, or biographers who write about military or intelligence or police matters, or anybody with relevant scientific or engineering training and knowledge. 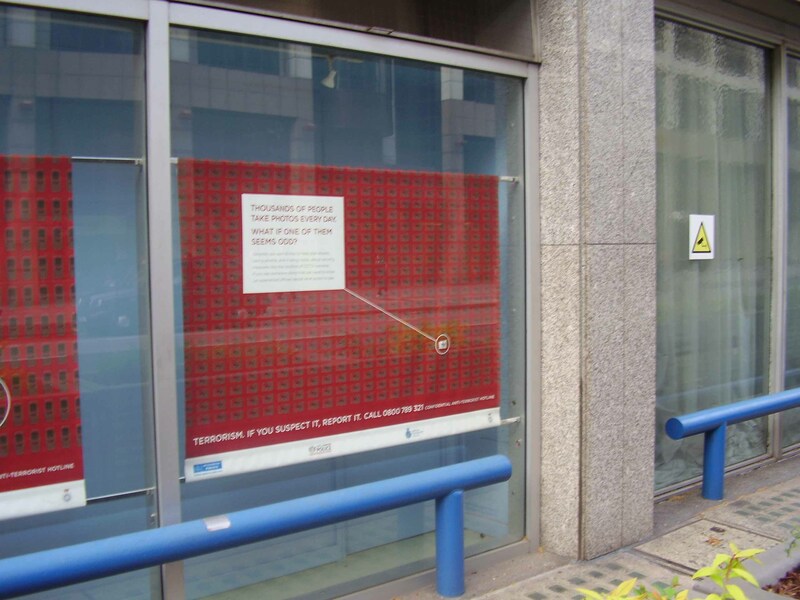 This example of the Suspiciously timed Climate of Fear propaganda campaign by the Police in the run up to the Counter-Terrorism Bill debates is actually being displayed in a window of the Metropolitan Police Service headquarters complex at New Scotland Yard, which backs onto Victoria Street. The angle of the photo catches a reflection of the Labour Party headquarters, casting its malign influence, on this stupid political Climate of Fear propaganda against innocent photographers,and mobile phone users. 39 Victoria Street, London, houses the Labour Party headquarters offices, but the building also houses offices of one of Aegis Defence Services Ltd, one of the largest UK Private Military Contractor companies supplying mercenaries (mostly intelligence analysts rather than bodyguards) to the Coalition Forces in Iraq. Pedestrians and vehicles passing through this area, are monitored by countless inhuman CCTV camera systems, or by faceless operators in CCTV control rooms. Continue reading Photography does NOT equal Terrorism.